The SBCN is happy to be hosting the SBCN Small Business Showcase Event on Saturday July 14th, 2018 at The Rotunda, Kitchener City Hall. Linda Ockwell-Jenner and Steve Bentley return for another episode of SBCN Small Biz Perspectives. 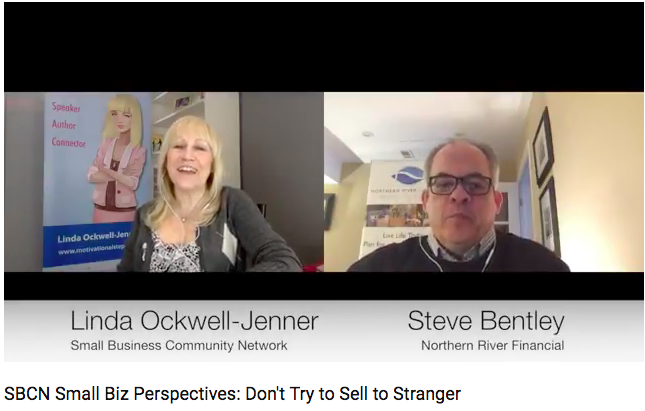 In this episode they discuss the pitfalls of trying to sell to strangers! Check out another SBCN Small Business Perspectives YouTube video. Steve Bentley, SBCN Member, and Linda Ockwell-Jenner, Co-Founder of the SBCN chat about multingenerational networking. We're delighted to announce our join title sponsors for the 2018 Small Business Showcase, taking place on Saturday July 14th at Kitchener City Hall. This year's event is brought to you by Brussels Business Pilots and Riegling Business Solutions. We've recently launched SBCN Coffee Connect and the response has been tremendous! This new weekly event is the perfect way to enjoy a great cup of coffee and the insights of small business owners just like you. We are very excited to have an awesome guest presenter, Karl Allen-Muncey at our February networking event. Come along to our first business networking event in 2018 and enjoy Speed Networking with a twist. Register to attend: https://www.sbcncanada.org/events/2595. Registration 7pm, enjoy coffee, tea, water, mix and mingle. New this year, Power Up Session, presented by Gunther Kramer, Gecko Websites. Thanks to TELUS our wonderful corporate sponsors. It's a new year, which brings with it many opportunities. We will continue to share all those opportunities with you, our Members, Members of an Elite Club of Professional Business owners who continue to grow and succeed. The SBCN Team is looking forward to welcoming 2018. We wish everyone a successfull, prosperous and Happy New Year! Read more about The SBCN Welcomes 2018! 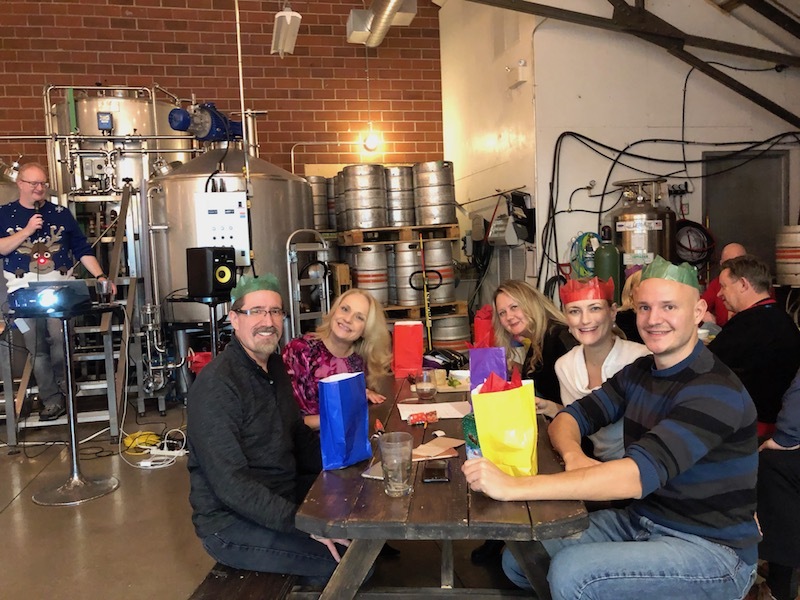 We enjoyed our annual SBCN Christmas Social last night, and what a fun time it was. Everyone enjoyed food, drinks and our now famous SBCN Quiz. The winning team always go away with awesome prizes.